Whatever came to me about wherever I was, which was probably London. Much has been written in the past few days about Nokia's decision to team up with Microsoft. Some of it has been bordering on delusional, as fans of the firm lose their objectivity and close their eyes, hoping that the firm's troubles will vanish. The reality is that Nokia is in serious trouble, something that CEO Stephen Elop seems to understand from the briefing he sent round his firm. It's not so much that Nokia don't sell phones anymore; over a quarter of all phones sold are still Nokia's. Nokia's trouble is that their brand has almost no cachet left. They make generally decent hardware, but their software is nothing short of awful. The N97 was to have been their flagship device in 2009, but it was another example of Nokia being left behind - not understanding the innovation of its competitors. The UI was frankly terrible, as this YouTube video shows. Some talk of Nokia's huge usage in developing markets. This is a dangerous game to play - you either assume that Nokia can churn out high-volume, low margin phones better than Chinese/Indian competitors (they can't), or that such markets will migrate to higher-end phones and then buy these from Nokia (they won't). Nokia haven't really gone anywhere in developing their software, and worse they've showed signs of panic. They set up the Symbian foundation to develop the operating system used by their higher-end phones, declaring it a body of open source excitement in February 2010. They then brought it back in house nine months later. Nokia claimed the N8 (another attempt to get touchscreens right) would make it all right again. It didn't. The hardware was good, the software lousy as ever. Oddly, the coverage of the decision on Friday to jump on board the Microsoft ship largely focused on whether this was the right idea, and on how bold Mr Elop had been. 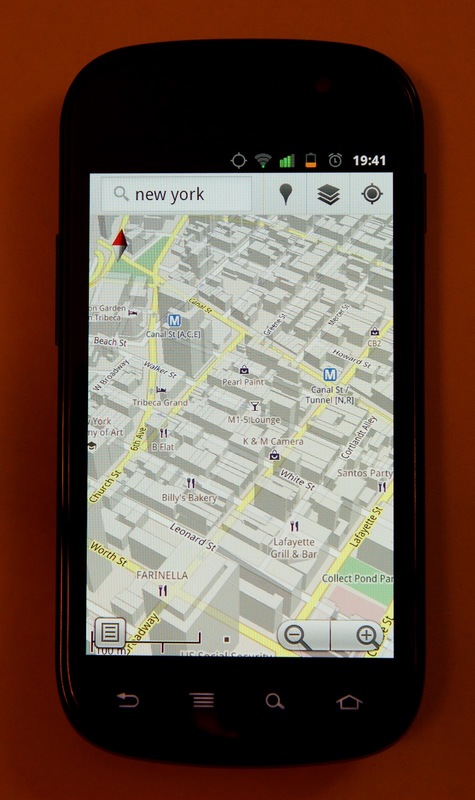 Often a few half-truths about Android, Google's open-source phone operating system were thrown in. The Economist duly obliges, writing an article that implies Windows Phone is the only option, and that Android would require Nokia to use 'Google’s mobile services and advertising'. This isn't true of course - Android is open source and Nokia can include, or not include, what they like with it (and Google Maps and Mail are already available for Symbian devices). To lay this author's cards on the table: I used to love Nokia - they did once make great devices and it brings me no pleasure to see them flounder. However, Android is a very impressive phone operating system and Windows Phone 7 was the wrong way to go. There are two very quick reasons why Windows Phone is not the right choice for Nokia. Firstly, Windows is not a brand that consumers want to purchase. Windows is fine for home PCs - in fact Windows 7 is extremely good, but the very reason Microsoft picked the Windows brand for its mobile OS was to attract business users, who might mistakenly believe that having a Windows network at work and a Windows network on work phones would all work together beautifully. RIM (makers of the Blackberry) have shot right through that, and shown that what matters is good software, not a familiar brand. Consumers do not hanker for a Windows phone, or a Nokia phone. A Windows Nokia phone is no more appealing. Secondly, there is little that Nokia can do to differentiate itself from other manufacturers of Windows Phone 7 devices. This has been said to be true of Android, but quite simply this isn't true. Good design has put some companies above others - HTC and Samsung make good Android devices, and Motorola's fortunes have rebounded because they have used Android well. Again, Android is open source. Nokia were free to add features as they saw fit to customise the OS and bring customers with them. Windows Phone 7 is a more closed system, and Nokia will most definitely play second fiddle to Microsoft in proposing changes. The attraction of Ovi Maps is not an attraction at all - most users have never heard of Ovi Maps and don't care to - how many people can you say this is true for with Google Maps? 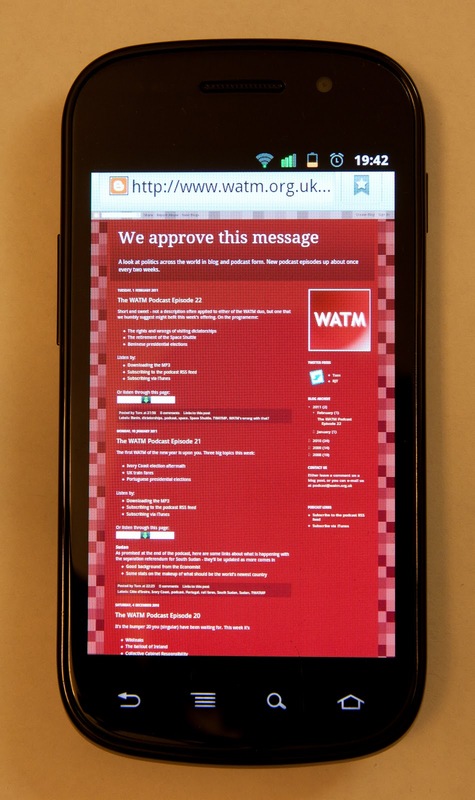 This looks pretty simple: transition from the unsuccessful Symbian platform to Windows Phone. The graph, however, hides a multitude of sins. Nokia will be developing phones with four operating systems for the next few years: Symbian, Windows Phone, Series 40 and MeeGo. Series 40, although you may have never heard of it, is the world's most used mobile-phone software and powers low-end phones. It's not very pretty, it's not very functional, but it gets the job done usually with little fuss. It is more troubling (for Nokia) that you've possibly never heard of MeeGo. Nokia have no idea what to do with MeeGo, but didn't make the right choice - stop doing anything with it at all. It is supposed to be an operating system for Mobile Devices - a catch all term to describe large smart phones and tablets. It's been in development for about a year now, and there's still nothing that runs it. 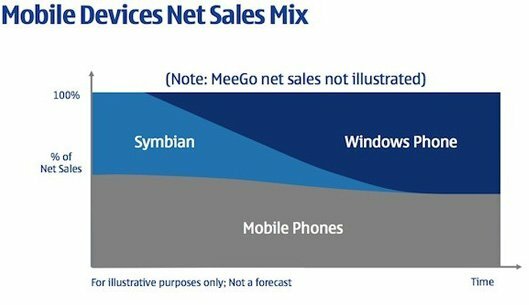 Nokia's decision not to include sales of MeeGo devices in their graph above speaks volumes - they don't know what they're doing with it. They have implied it's being dropped, but still plan to ship devices with it. In short, this is a mess. Nokia cannot effectively manage four operating systems. At best they can handle two - one for low end devices, one for high end. The lethargy in moving away from Symbian (note the lack of time axis on the graph above) only leaves Nokia exposed for longer. A bold Nokia would have moved to Android and focused on making the Linux kernel on which Android runs able to power more and more of its low-end devices. It would have clearly severed itself from the MeeGo experiment and halted Symbian development as quickly as possible. It would have developed excellent hardware and targeted improvements to the Android OS that would differentiate it. This is not a bold Nokia. It's still the procrastinating indecisive beast it's been for some years. This turkey isn't flying anywhere soon. I was feeling pretty self-assured and prepared. I had the 3 website open in front of me as I dialed T-Mobile to ask for my PAC so that I could transfer to three. About twenty minutes later I was signed up to another 24 months with T-Mobile. Hats off to the lady who served me: she impressed me, made me feel valued, offered me a much better deal that 3 had on their website and did so in an efficient manner. I was a satisfied customer. A few minutes later a text came through asking me to rate my satisfaction with the call; five out of five was duly dispatched. I had a friend stay at my house the following few days while over from Shanghai. He'd picked up an Orange SIM card (£10) upon landing at Heathrow, and then phoned up to enable the card, activate the confusingly-named Dolphin package and add £10 of credit. His Dolphin package came with 100MB of internet and 300 texts. The next day there were only a few pennies left - it seems the Dolphin had not taken hold of his account. He phoned up the customer service line, annoyed that having only been with Orange for 24 hours he already had a problem. To say they were unhelpful would be kind. No refund, no offer to help - only the offer that the 50p he was charged for the call would be refunded. Despite half an hour on the phone, being bounced from one member of staff to another, he got nowhere. I contrasted his experience with mine, but of course I spoke to soon. On Monday my new handset had not arrived as promised, and when I got home I found a card from a delivery company, despite the customer service rep taking my work address and promising it would be sent there. I phoned T-Mobile on Tuesday, Thursday and Friday evening. Their call centre menu was hopeless with no option even vaguely fitting my problem, and their staff unhelpful. I still have do not have the promised handset, despite paying for 'next day' delivery. Oddly, not one of these three calls have resulted in me receiving a text asking me to rate them. This is far from uncommon in my past experiences. What's odd is that, anecdotally, every mobile company seems to be as each other. Could the reason be a lack of competition in the sector? Despite the appearance of five mobile companies competing for market share, they are something of an oligopoly, with perhaps only 3 offering better packages or options. It's notable that T-Mobile's previously more generous fair-usage policy on data of 1GB has now been reduced to 500MB to bring it "in line with the rest of the industry". The lack of competition is a bad thing for the mobile market, especially as mobile technology moves on so quickly so there should be an opportunity for innovation. Perhaps new wireless technologies will provide more competition, but for now each company seems to have little reason to offer the customer anything special. I've seen a fair few user reviews of all sorts of products, from technology devices to bags of crisps. User reviews tend to suffer from one of two problems - that of rationalisation or using a review to take a few pops at the supplier because the user feels mightily aggrieved. I'm going to try to take a middle road here. I'm presenting an honest look at the phone. It cost me £430, and I'm able to say it's not perfect. It is, so far, the best phone I've ever owned or used, but there are plenty of problems with it which I'll try to spend time explaining without concentrating on the bad at the expense of the good. Before I start, a fair question is "Why review a phone"? In the days of my Nokia 3210 there was perhaps not much need. Today smartphones are finally befitting of their name. I use my phone as my music player, my web browser, my twitter client and my routefinder. I also send the occasional text and, just once in a while, I might make a call. The phone is certainly decent looking. It's all black and allows nothing to distract from the screen. Part of my reason for upgrading from the HTC Hero that I had previously was the smallish screen - 81mm feels even smaller now I'm used to the 100mm on the Nexus S. This isn't about boasting - browsing the web and reading from the screen are considerably more pleasant for those 19 extra mm. Without the screen on the phone doesn't have that much definition, but the position of the volume rocker switch makes it relatively easy to orient the phone when you're hunting around in your pocket. While I'm talking about the screen, let me explain what it's like while it's on. The quality is phenomenal. There's no backlight here (this is an AMOLED screen), so blacks are Spinal Tap compatible and whites and colours shine. The image is exceptionally sharp and a joy to look at. Photos don't do it justice as they tend to attract moiré patterns, but I'll give it a go. The soft-buttons below the screen (which only illuminate when the screen is on) have caused me no bother at all, and the detail of the screen itself is exceptional. The other stand out feature of the Nexus S is that it's fast. I mean really fast. It leaves my HTC Hero standing. One can get technical and think that the 1GHz processor in the Nexus is what allows it's to supersede the Hero's 528MHz, but the more I use the phone the more I think the reason for the speed is the absence of manufacturer's bloat. The phone runs Android. There's no HTC Sense, no TouchWiz. I picked up a friend's Galaxy S a few weeks ago. This features the same processor as the Nexus S. It was fast, but not as fast as the Nexus. More gallingly, and more telling, was the inclusion of three separate app stores on the Galaxy S - one from Samsung (manufacturer), one from Orange (carrier) and the standard Android Market. This is the sort of shoddy interface design that astounds, and shows why the less involvement carriers and, to an extent, manufacturers have the better. 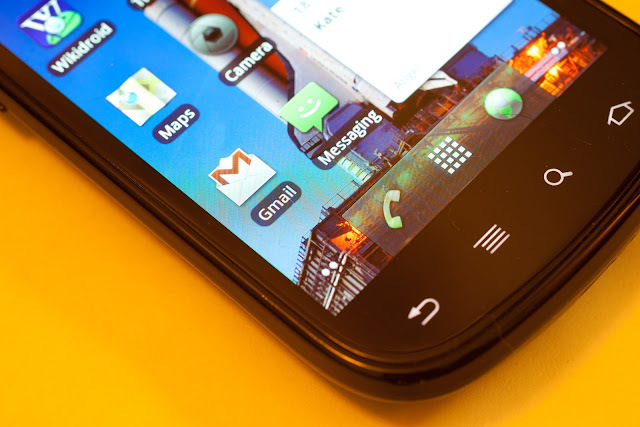 This lack of external interference was a big attraction of the Nexus S for me and encouraged me to buy the phone direct and not on a contract. The improvement in experience has been even better than I expected. I wondered if I'd miss the built in features of HTC Sense. Short answer: not one bit. Little things like picking out contacts and navigating the calendar are so much quicker and more responsive on the Nexus S. In fact all the default apps are excellent, with the browser particularly speedy. While blogger defaults to a mobile view, this web page loads excellently when set to the full version and is very readable with easy zoom where needed. It is almost as if Google are not aware of the existence of the UK. When you turn on the phone and sign in with your Google account (note that my account is a UK account) you get a nice e-mail from Google welcoming you to the Nexus S. It tells me I "can contact Samsung directly at +1 855-EZ2NEXUSS". Hmm - that's a fat lot of use. No problem, I'll head to the Samsung UK page if I need any support. Except their page doesn't even know about the phone they make. This isn't good. 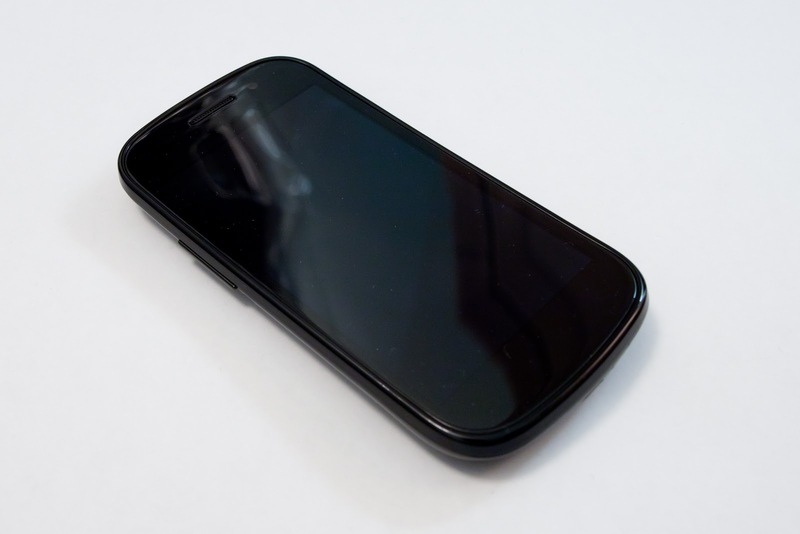 Don't worry - there's a full Nexus S support site - oh guess what, it's entirely geared for the US market. This is exceptionally poor. I'll leave it to the reader to guess whether Android Voice Actions work in English UK (I'll give you a clue - even though the verbs such as 'send' are clearly the same, the answer is not yes). Update: A lady named Mary at the @GalaxySsupport account has been very helpful, but she has been the exception. E-mail support in the UK just hasn't responded, while US e-mail support told me they wouldn't support a UK device (the web form in the US was truly awful). Frankly Google are doing very poorly here. Oh that that were the case. Even with moderate use and a full night's charge the phone is almost dead by 18:00 if I unplug at 07:00. I have Twitter updating every 15mins and GMail syncing, but these are not uncommon uses of such a phone. I have WiFi on, but only connected while at home (there is no network at work). The battery plummets over the day. Because of the issue above it's not even obvious who to contact about this. As with all Android-based phones users can install their own MP3 files to be used to alert of incoming SMS messages, calls or alarms. There is quite an odd bug on the Nexus S which means these seem to sometimes randomly change to a different MP3 file - not even one stored within the notifications folder. I've engaged via Twitter with @GalaxySsupport who have made some suggestions, but none which has yet fixed the intermittent issue. This would be much less of an issue if the included alarms etc were anything other than bare-bones. Update: This is a reported issue with Android 2.3. Regrettably there's no sign of this yet being fixed. 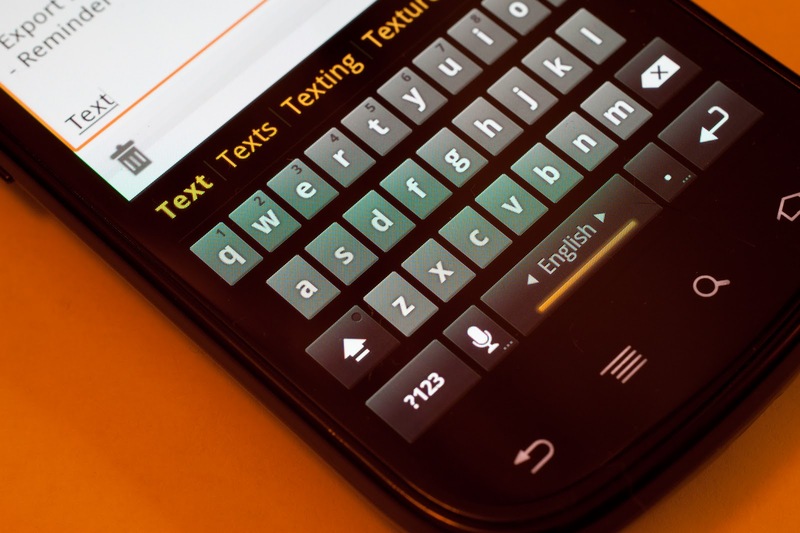 The updated Android keyboard present on the Nexus S is, in my experience, very impressive to use. There are two minor issues. One is that entering a web address in, say, an e-mail is quite hard - the phone continually tries to 'suggest' what word you mean, resulting in something of a mess, and keeps adding spaces after the dots in a URL. This is, of course, no problem when typing a URL into the browser as suggestions are turned off. More annoyingly the seemingly useful feature to switch between suggestion languages (I have French and English installed) is flawed in two regards. Firstly it's far too easy to switch between the two languages accidentally by lingering on the spacebar for too long. Cue annoying instances where the auto-suggest is working in a different language to your brain. Secondly the layout of the keyboard changes with the language. While ideal for some, for most people (who have one primary language and another, less-used, secondary) this is a feature that desperately needs a toggle to turn it off. Suddenly making the loaction of the Q on the keyboard home to the A is almost impossible to mentally adjust to. Update: I was wrong in the above text - the change between languages is not caused by me lingering, but by a reproducible bug in the keyboard software that has been reported. Again, no sign of being fixed. Other than the battery life these issues are relatively minor (the support issue is poor customer service, but I hope doesn't inhibit my use of the phone). I'll continue to badger Samsung about the battery and see if anything is amiss. As I said at the start, my overwhelming view of the phone is positive. If you want a versatile phone with a superb screen that performs fast, fast and fast again then this should be at the top of your list. A while ago I lost too many pictures when my hard drive failed - since then I've been desperate to ensure that I don't have this happen again. A good principle with data is that if you don't have at least two copies of any given file, you don't really have it at all. I have used online backup services - Mozy and Carbonite to be exact. I don't have much kind to say about either. Online backup is, in principle, a great idea. You don't need to remember to do anything, and your files are always up to date. In theory. In practice internet upload speeds are too slow to deal with a heavy workload of pictures - I shoot in RAW on my Canon 500D and so each image is around 20MB. I often end up placing 1GB on my hard drive after I've gone out to take pictures - this takes an age to back up. Because such services give you the impression that they're constantly up to date, it's easy to live under false security, which may make things worse than if you didn't have the service installed in the first place. I'm not going to mention the performance impacts of either program, but suffice to say that my computer became unusable - crashing frequently - only a few weeks ago, and I am 70% sure this was Carbonite at work. The second problem speaks for itself. The first might seem fine, but this means that if the backup doesn't complete, or if one of the files is damaged, the remainder of the backup can be useless, or at least needlessly hard to reassemble. I've struggled to find something that does what I want - Microsoft's SyncToy is quite good, but again I've had problems with stability in the past. I think I've finally found what I'm looking for - SmartBackup from JAM Software. It isn't free, costing €20 for a license, but it does exactly what I want - incremental backups of a set of files/folders while maintaining directory structure and not forcing any propriety format on me (I shan't be forgiving TrueImage ever for this sin). Give it a whirl (there's a 30-day trial), and if I have any problems I'll be sure to say here. Backing up is very boring, so the best possible form of backup is one that is simple enough to encourage you to actually bother. As my good friend Rick has found out after leaving his computer on a train, backing up is always something you wish you'd done. Yes, but it's the wrong one! 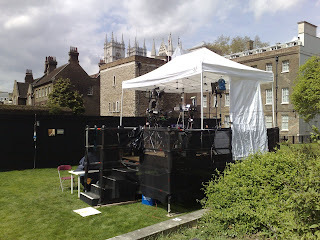 The TV crews have packed up! There aren't many ways to spin this: Labour got one of their worst kickings in history and the Tories did very well. 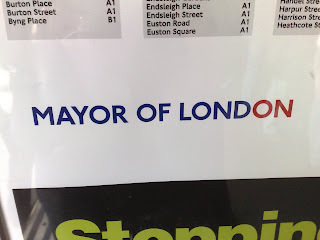 Well enough, it seems, to make Mr Johnson the new Mayor of London, although it pains me to write that. The Assembly will presumably be chocked full of blue, so our new Mayor will have no need to moderate his plans for his budgets to be approved. Now we just wait. The polls are still open for another hour, but after that there's nothing until 0900 tomorrow when the count starts. I'm hoping there's been an exit poll that'll be announced at ten, but I've not heard anything yet. Earlier on I helped by handing out leaflets at Wood Green station - I had been booked to go to Alexandra Palace, which I did, but no one from team Ken turned up, and nor did any significant number of commuters, so that was a (genuinely) damp squib. 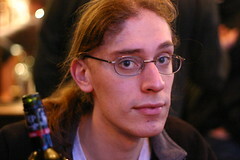 This is a Flickr badge showing public photos from tompagenet. Make your own badge here.